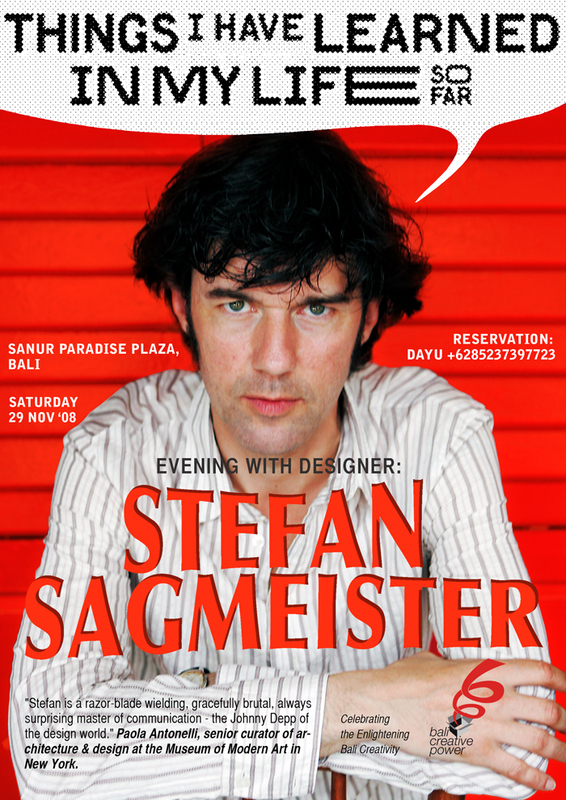 Astonishingly, Stefan Sagmeister has only learned twenty or so things in his life so far. But he did manage to publish these personal maxims all over the world, in spaces normally occupied by advertisements and promotions: as billboards, projections, light-boxes, magazine spreads, annual report covers, fashion brochures, and, recently, as giant inflatable monkeys. In this presentation Sagmeister throws his diary, a lot of design, and a little art together with a pinch of psychology and a dash of happiness into a blender and pushes the button. It tastes surprisingly yummy. Soon complete agenda of Bali Creative Power will publish.